Singer and songwriter Piper is well on the way to becoming a household name. She is living proof that “putting your heart into everything you do” can make your wishes blossom. Reared in a musical family from a small town in Kansas and having a mother that is a top-ten recording artist, gave Piper the inspiration she needed to pursue a career in art and entertainment even as a youth. Piper’s ambition turned this dream of being artist into a reality. By the age of fifteen, she began professional acting and singing, making numerous TV appearances and sharing her talents across America, Europe, and Africa. 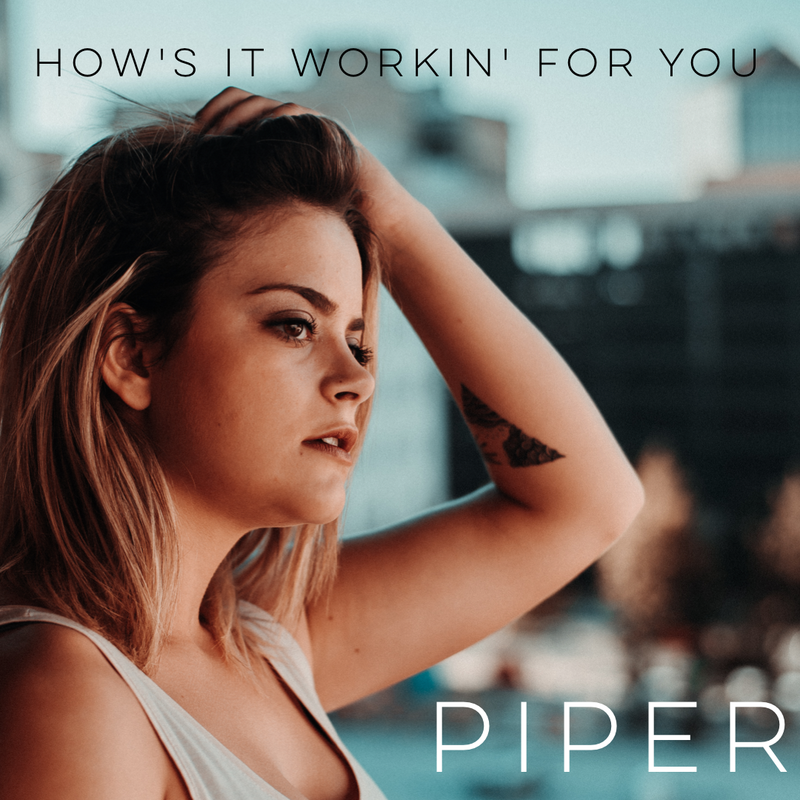 Despite all her accomplishments, life still has much more in store for Piper as she has just released her new single, ‘How’s It Workin’ For You’. ‘How’s It Workin’ For You’ is a radiant song that reveals Piper’s brilliant talent as a vocalist. It’s a bright melody filled with some clever eye candy instrumentation that leaves a nice sparkle in your ears. The song is based on an experience Piper had as a teen, a story about an ex-boyfriend who thought the grass was greener on the other side and now regrets his actions. Unfortunately, Piper has moved on after the guy realizes that he lost something special. The track opens with a catchy keyboard riff that unlocks the gate to a colorful backdrop of rhythms perfect for the song’s theme. Piper’s enchanting voice is a ball of sunshine and the icing on the cake that audibly makes second and third helpings served by the rewind button a must! ‘How’s It Workin’ For You’ is Piper’s musical resolution that she is going places with the talent and dreams that have been faithful to her.